If you’ve been reading along for very long, you know that I have been open from the beginning about having health struggles that I’m still battling through. I’m doing worlds better than I was before switching over to a paleo/GAPS diet and eliminating toxins from my life and home, but I’ve still got some tough, deep-rooted issues that I’m working really hard to uncover and heal. Lately I’ve been learning about Epstein Barr Virus (EBV). I learned a while back that if you have ever been diagnosed with mononucleosis, then you have EBV. As I began to learn about this nasty, stubborn virus, I realized that my story fit into the profile of EBV infection perfectly. As I began to dig deeper, I learned about the role vaccinations play in stealth virus infections, how those infections correlate with Lyme disease, and the co-infections that are common with these viruses. Below, I will relate the timeline I believe took place in my descent into illness. Up until I was a pre-teen to my early teen years, I was rarely sick. As a pre-teen I had a dog who slept with me. I found ticks on myself on several occasions, but we lived out in the country and ticks were common, so my family never thought much of it. Fast forward to the spring of 2000; I was 14. Pubescent and chalk-full of hormones. I received the MMR vaccine (measles, mumps, rubella) and Dtap (diphtheria, tetanus, and pertussis) vaccine. It was that same month that I began to have arthritis pain in my knees. I believe I dealt with a combination of the above factors, making me susceptible to vaccine reactions and damage. Here is what I believe caused my health to spiral downward following those vaccinations: I had already been exposed to Lyme disease through multiple tick bites, so it was laying dormant in my body. When I was vaccinated, I was exposed not only to the diseases I was being vaccinated against, but, I believe, I was exposed to EBV through a contaminated vaccine, as I have learned that the MMR vaccine has been linked to EBV contamination. (source) Once exposed to EBV, the Lyme disease was activated, causing the almost immediate onset of juvenile arthritis symptoms. This interview with Dr. Judy Mikovits, Phd, details vaccine contamination with viruses. The interview also discusses hormones and how viruses really thrive on hormones. It comes as no surprise to me that I became sick following vaccinations around the time of my first menstrual cycle. I did not have good nutrition or healthy habits by any means, so as the EBV began to reproduce quietly in my body during this initial infection stage, my immune system, already weakened by Lyme disease and poor nutrition, did nothing to fight it. I believe it reproduced over approximately a two year period as I slowly began to experience symptoms, until it reared its ugly head in the form of mononucleosis. Around the age of 16, I began experimenting with partying and began taking birth control shots. As my lifestyle choices took their toll on my immune system, the EBV was able to attack and began to do serious damage. During this time, I was barely able to get out of bed most days. I would beg my mom to let me stay home from school because I was so tired. This is when the virus entered stage two and went from an undetectable infection to attacking my body. I was diagnosed with mononucleosis at the age of 16. At this time, the EBV had likely already been in my body for quite some time, undetected, but once a full-blown infection was underway, the worst of the symptoms appeared and I became really sick with flu-like symptoms, swollen lymph nodes, horrible, debilitating fatigue, and I lost about 10 lbs from my already underweight (95 lb!) frame. As your body gets through the initial mono infection, the EBV quietly begins to recede into your organs, infecting everything from your liver or spleen to your digestive tract. 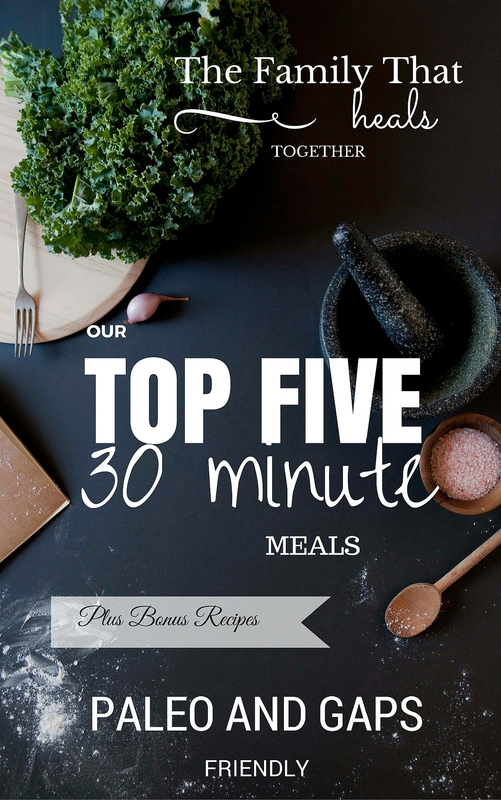 (It was in my late teens that I began to really struggle with digestive symptoms and food reactions.) Your immune system no longer mounts an attack as this point and will also infect your thyroid and stress your adrenals. Most doctors don’t see mononucleosis as a long-term illness, but for me, being diagnosed with mono was just the beginning. As my immune system had become suppressed and damaged, I began to experience a myriad of health problems. Frequent migraines, chronic fatigue, mood swings, irritability, and depression, and dyshidrotic eczema (red, itchy bumps on my hands, which I just thought was rather strange at the time). I didn’t feel well, ever, but I didn’t know there was anything I could do about it; I really didn’t know there was anything “wrong.” My mom had suffered from migraines for as long as I could remember, so it seemed relatively normal to me. At the age of 20, I was diagnosed with hyperthyroidsm (ding, ding, ding: stage three EBV infection), which I did nothing to address. I became pregnant with my first son about a month later. During that pregnancy, I experienced kidney stones and preeclampsia. 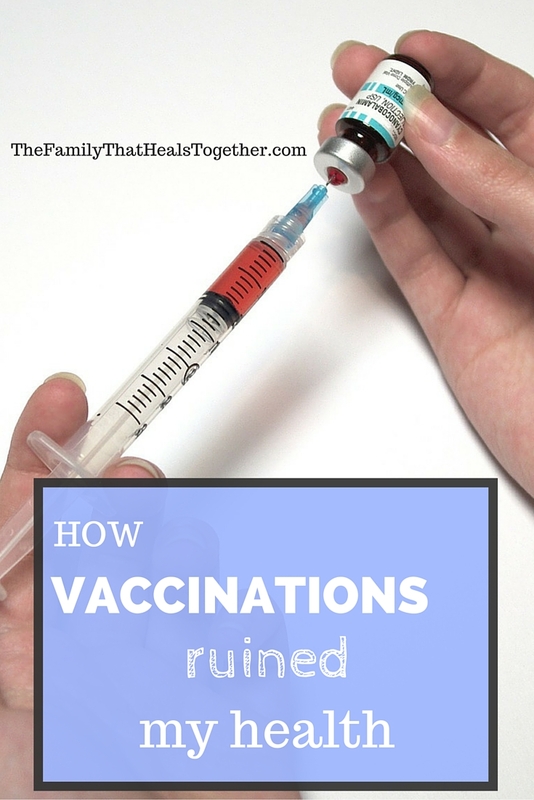 Unfortunately, I was required to receive a Tdap vaccination for work before I became pregnant with my third son, and following that shot, I began to experience increased migraines as well as vertigo, which I had never experienced before. The chronic fatigue, frequent migraines, digestive distress, vertigo, and eczema continued until several months after his birth, when I removed sugar, grains, and pasteurized dairy from my diet. Today, I still have occasional migraines or, very rarely, vertigo, when I don’t get enough sleep or let my blood sugar get too low, joint pain if I make poor food choices, and I sometimes still struggle with my energy levels. But after having changed my diet, I don’t even remember what life was like before, being barely able to function, let alone take care of a family. I found out last spring that my body was infected with strep bacteria, which I recently learned goes hand in hand with EBV infection. I know that because these bacteria and viruses have been rooted in my body for over 15 years, it will take time and work to knock them out, and I will likely continue to experience symptoms until my immune system is healed. While all of my health problems don’t relate directly back to vaccines, the more I research and learn, the more I can’t help but connect many of my problems back to vaccinations, particularly that MMR vaccine. Not only did they damage my immune system (as they do many susceptible people, because they provoke an unnatural immune response), but I was likely infected with the virus which has done the most damage to my body, by a contaminated vaccination. Vaccinations were the catalyst that snowballed my health problems and likely caused the damage I am trying to undo today. Neither my children nor myself will ever by vaccinated again. I’ll be sharing in detail soon how I am repairing my immune system and battling these infections- and winning!- finally. Please share this information with a friend who may be suffering from unexplained illness and may not know about EBV or the MMR vaccine connection. Viral Infection Treatment: Do You Need a Viral Detox? Wow this is unreal! I was actually just on vacation and was reading What you’re doctor may not tell you about vaccinations. As I am a newly expecting mom I have always been skeptical about vaccinations!!! Thanks for sharing! It’s fascinating the pieces you can put together from your adolescent years and the correlations with health decline. Wow I am just now learning about whats really in these tons of shots they want to give my lil ones. I live in California and I’m not even sure if not vacinating is an option now. I know my dr. is way for shots and always says science and testing has shown them to be safe. Being pregnant now, he wants me to get a whooping cough shot and I’ve said I don’t want to. Honestly I’m scared of the shots and the sicknesses you could get. How did you begin with no more shots and staying healthy. Hi Lorraine. You are wise to avoid vaccinations during pregnancy. We stay healthy by supporting our immune systems with nutrition, staying away from sugar and processed foods, and using natural remedies during minor illnesses. Well…… you’ve just described much of my own health history, too: early childhood allergies, pre-adolescent headaches, teen migraines, teen depression, fibromyalgia in my mid 20s, chronic fatigue in my late 20s, lymphoma in my 30s (treated with chemo and radiation), and now chronic Lyme diagnosed in my early 40s. All while spending years ignoring my symptoms (since no one offered any real solutions anyway), neglecting my own health (poor diet, little exercise, insufficient sleep, no stress management) during approx 15 years of college + medical school + residency and 8 years establishing my practice….. no wonder I’ve been incapacitated and off work for the past 8 months!! Once I’m a bit further along in my recovery I plan to do some more training so I can practice more holistic healthcare. Hi Rochelle. I’m sorry to hear you have suffered from similar symptoms. I’m glad to hear an MD is learning about these alternative health topics- we need more doctors like you! I hope you find some remedies that work well for you and that you are feeling well soon! Amazing what doctors don’t actually know about vaccines and there effects. But what is even more crazy is how successful the media is at convincing people there is nothing unsafe about them that people, who have done literally no research, are vaccine advocates.Then the advocates accuse people who question vaccines of only listening to celebrities. All very true Lisa! All we can do is keep spreading good information and fighting the good fight! Jaclyn, I received the TDap booster on Tuesday, May 16th. The next day I became very sick. I have been dragging so I had a blood test. Everything was normal except the Epstein Barr Virus that caused mono when I was 21 (I’m now 53) was elevated. The doctor said it was reactivated. I have no appetite and I feel awful. Do you think it’s possible that the booster shot triggered the virus after all these years? Absolutely, as you never know how your immune system will react to vaccinations. i stumbled across this post while looking into the possible link between Mono and vaccine damage. After the first paragraph I thought you had started writing my story. Lyme, Mono, unexplained arthritic like pain, POTS, degenerative disc disease, hashimotos thyroiditis etc… Reading this made me want to weep, and I am not a cry- er. I was diagnosed with mono shortly after getting married (which was shortly after I started birth control pills) I thought I was going crazy. I felt insane. Five babies and 13 years later and i have had thyroid cancer, been diagnosed with adrenal fatigue, fibro and deal with all sorts of health issues. sigh. I am fighting them all, but I often wonder what my life would be without this. 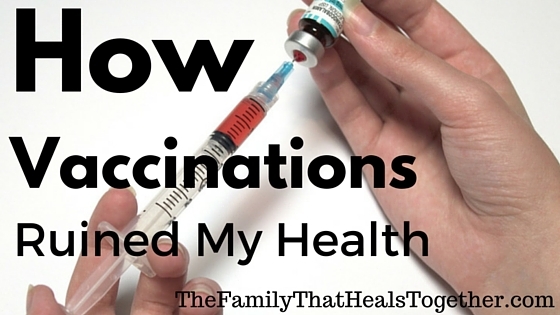 I am thankful I realized the danger and never vaccinated my children. I have some very similar issues with my own body. When you say that you and your children will never be vaccinated again, what kinds of precautions can we take to avoid being forced to get them. It looks like they are trying to take away our rights to decide by eliminating medical and religious exemptions. Diane, I homeschool them, for many reasons, this being one of them. Hi, Jaclyn! I came across your website while looking for alternative remedies. Just 10 days ago, I was required to take a shot of MMR vaccine and 7 days after, the most unfortunate thing just happened — I had chicken pox. You see, I haven’t had chicken pox until now. Although my mom assured me that I was given proper dosages of varicella vaccine, it was a mystery also to her as how did I got infected with chicken pox, given that I am getting proper diet and all. As far as I can remember, the nurse who gave me didn’t even informed me the side effects of the vaccine while I specifically told her that I haven’t had chicken pox before. Your article shed lights to all of my questions. That taking that shot has triggered varicella virus underlying on my system. Thank you so much, Jaclyn!! I will surely spread your articles for awareness!